I have been seeing a whole lot of pom pom garlands. Pom poms are even great to make mobiles or even wall decor. Cats also love them. I found this fun pom pom maker in Michael's Craft store. A place that I could spend a ton of time in, not to mention money too. 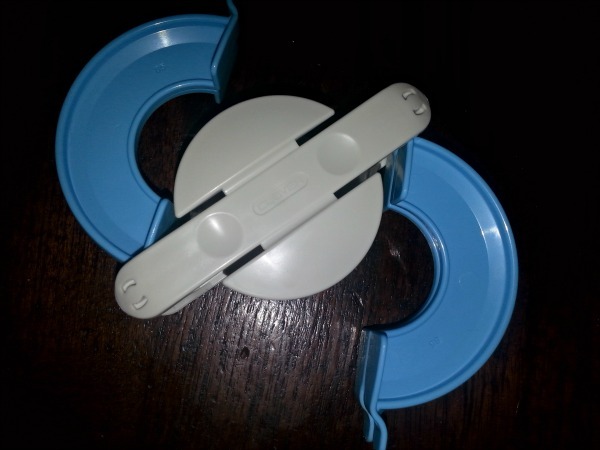 They are fairly easy to use. My first try wasn't bad, but you can tell I need to make it fluffier. So that means wind more yarn. You wind the yarn on each side. Then close the side. I also needed to tie the middle a little tighter. I think I would use a strong string instead of yarn to tie. 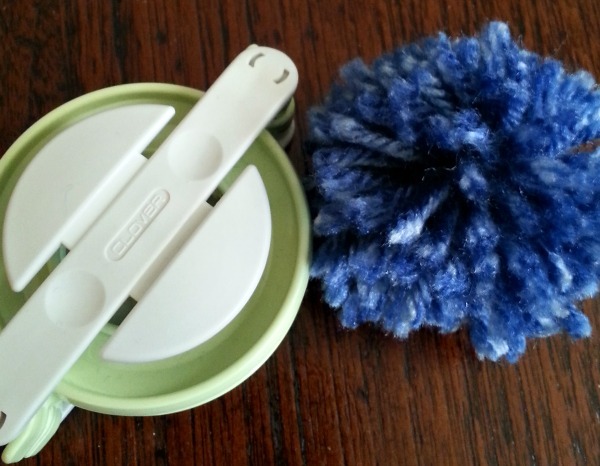 Once you are done with your pom pom you can take scissors and make yarn all one length. Forming a perfect little pom pom. I got two different sizes. One medium and one large. They come in two smaller sizes. I think I'm going to play with different types of yarn and colors. Have you made a pom pom garland before?